The national auditor's observations provide enough fodder for both the Centre and the opposition to claim victory and continue making political points. New Delhi: India’s national auditor tabled its much-awaited report on the Narendra Modi government’s 36-Rafale-jet contract on Wednesday. While the headline number weighs in favour of the Centre – the report says that the overall Rafale deal negotiated by the National Democratic Alliance was 2.86% cheaper than the one put together by the United Progressive Alliance government – there are a number of other issues that will provide enough ammunition for opposition parties to continue asking questions. This overall report consists of two volumes: the first one comprises seven chapters that examine systematic issues in India’s acquisitions process and includes information on a number of different contracts. The second volume is the one that pertains to the Rafale deal and comprises audit findings specifically on the acquisition of medium multi-role combat aircraft (MMRCA) through the inter-governmental agreement with France. This includes examination on pricing – although specific details are redacted – but nothing on the offsets package or the role of Anil Ambani’s Reliance. The latter will form a separate report that will be presented later this year, but the national auditor has indicated that it may not be out before the general elections in May. Here are the quick highlights of what the CAG has come out with, and how each help either the Centre or the opposition’s position. 1. The auditor says that the Rafale contract consisted of six different packages, with a total of 14 items. The contracted prices of seven items were higher than the “aligned price”, or the price at which the agreement should have been signed after adjusting price variation between 2007 and 2015. 2. Three items in the Rafale deal including the basic aircraft were procured at the same price. Four other items were purchased at a lower than the aligned price, making the NDA-II’s deal 2.86% cheaper than the cost negotiated by the UPA government. Who wins: The fact that the CAG ultimately has determined the NDA deal was ultimately cheaper, no matter how small, is a win for the Modi government. However, there are caveats. Multiple senior ministers are on record as having provided numbers that are far greater than the 2.86% statistic provided by the CAG. For instance, defence minister Nirmala Sitharaman asserted in the Lok Sabha that on a per-aircraft basis, the Modi government had gotten a price that was 9% cheaper than what was negotiated by the previous UPA government. The CAG disagrees with the defence ministry’s claim and has found that the basic flyaway aircraft were ultimately bought at the same price as as that of 2007. A small win, therefore, also for the Congress party. 3. The auditor has found that when it comes to the Rafale delivery schedule, the NDA-II’s deal hurried up things by five months. The earlier deal under the UPA provided for 36 aircraft to be delivered within 72 months of the contract, whereas the current contract says it will happen with 67 months. Who wins: The CAG ultimately gives little credit to the Modi government, which has maintained that the new deal was needed in order to buy jets that were urgently needed. The auditor goes on to note that even the five-month achievement has doubts. “Audit noted that the INT (Indian negotiating team) had apprehensions of even this delivery schedule because at the time of signing the contract, M/s DA [Dassault Aviation] had an order backlog of 83 aircraft. Considering its production rate of 11 aircraft a year, clearing this backlog itself would take more than seven years,” the report notes. 4. On the issue of sovereign or bank guarantee, the CAG notes that in the 2007 offer, Dassault had provided “financial and performance guarantees, the cost of which was embedded in the offer because the RFP had required the Vendor to factor these costs in the price bid”. 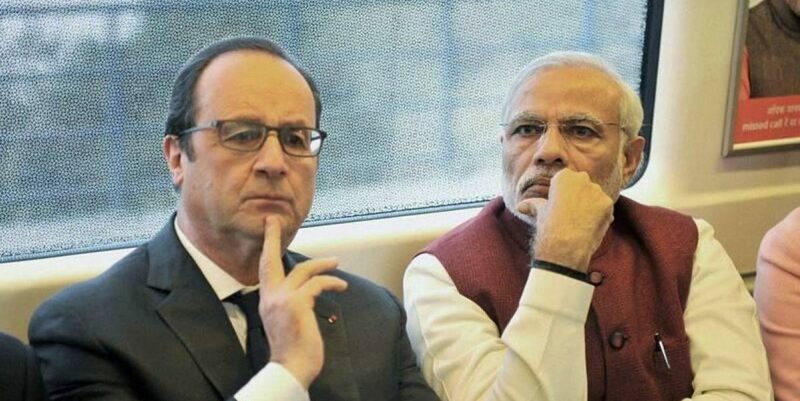 The IGA signed by the Modi government does not have this provision – as The Wire has reported, this was primarily because the French side did not agree to this demand of a bank guarantee and instead provided a letter of comfort. The CAG states explicitly that the bank guarantee charges that were not paid in the NDA-II’s deal proved to be savings for Dassault Aviation and not India, when compared to the 2007 offer. The auditor has redacted the total amount of savings, but a note by the INT (made public by The Hindu on Tuesday) had estimated it as 574 million euros. Who wins: This is a point that will likely be used by the Congress and other opposition parties. As The Wire’s M.K. Venu has pointed out, if these costs were considered, it is likely that the Modi government’s deal would be more expensive than the UPA’s. 5. The Centre has primarily argued that the 2016 contract has more India-specific enhancements. However, the CAG report notes that four of the India-specific enhancements “were not needed”, and that the Indian Air Force had acknowledged the same during its technical evaluation in 2010. Nevertheless, these specifications were included in the Rafale deal. 6. On the Eurofighter offer, the CAG’s report is a mixed bag. As media reports have noted, the European company’s offer was rejected to avoid violations of the Defence Acquisition Procedure process and also because it contained “inaccuracies”. However, as others have noted, the auditor also acknowledges that the Centre could have used comparative pricing from the Eurofighter’s unsolicited offer in order to determine a better price. Who wins: This is a stalemate, with points both for the Centre and the opposition. 7. On the contentious arbitration provision, the CAG acknowledges that if there is a breach of agreement, India will have to first settle the matter through arbitration directly with the French vendors. “If the Arbitration award were in favour of Indian party and the French vendor fails to honour the award (make the payment’s claim), Indian party should exhaust all available legal remedies. Only then the French government would make these payments on behalf of the vendors,” the auditor’s report observes. To this, the ministry has replied that in the IGA, the responsibility of the French government and Dassault was made “joint and several” and thus France would be “equally responsible” to fulfil its obligations. The auditor, it appears, does not record a reply to this. Who wins: A small stalemate, as the CAG has indeed flagged concerns with the arbitration process but does not criticise the ministry’s response. 8. The auditor also devotes a paragraph where it criticises India’s defence ministry for signing the Rafale deal on what it calls “non-firm and fixed price”. This type of price is vulnerable to price escalation. In its comments to the CAG, the ministry noted that it found the non-firm price to be cheaper than the “firm fixed” bid and thus was a saving. The auditor, however, comes to the conclusion that the government’s claim is not valid because the same advantage was applicable even in the 2007 deal. Who wins: A point in favour of the opposition, but not a significant loss at all for the Centre as this will most likely be ignored in the political debate. You can read The Wire‘s coverage of the Rafale deal here.